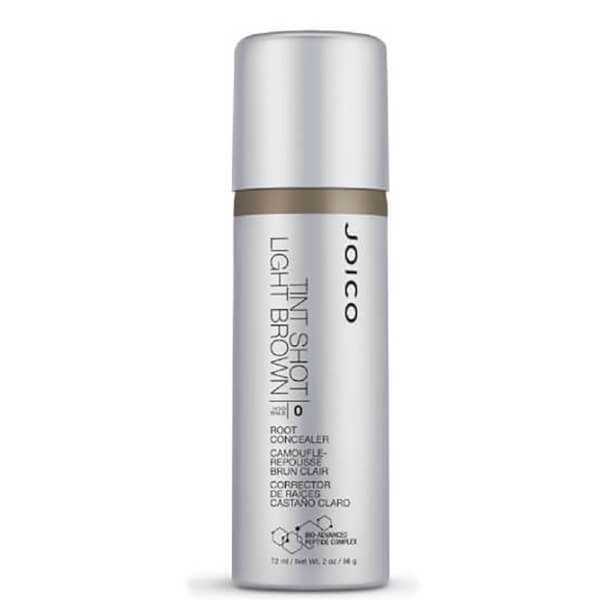 Catering specifically for light brown hair with grey or dark roots, the Joico Tint Shot Root Concealer attaches to individual strands to camouflage dreaded regrowth in between salon appointments. Developed with the brand's innovative Bio-Advanced Peptide Complex, the lightweight, fast-drying spray blends seamlessly to deliver a humidity-resistant, natural-looking finish, whilst targeting thinning areas for hair that appears fuller and thicker. Willowbark Extract soothes and cools the scalp. Shake product well. Holding can 6-12 inches from DRY hair, spray roots in a light, steady stream. Allow to dry for a few minutes before touching.